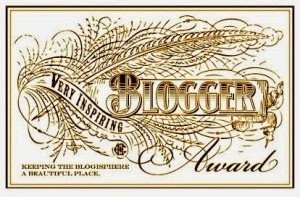 I've been nominated for the Very Inspiring Blogger Award! Thank you so much Laura over at misslmakeup.blogspot for nominating me! This is a great way to find out about new bloggers and also to get to know them better. 5 - Optional. Proudly display the award logo anywhere on your blog e.g - side bar and follow the person who nominated you. 1 - I'm an only girl out of 5 I have 4 older brothers with the youngest brother being 1O years older than me.